Are you struggling to be AUTHENTIC in your business and life? Try this post! And as you should probably instinctively know by now, we're talking about yet another deep topic. You know those random keywords that people like to throw around, not really understanding the true meanings and emotions behind said keywords? "Authenticity" is one of them. You hear brands and businesses looking for influencers with an "authentic" sense of style, or an "authentic" perspective. But what the hell does that even mean? 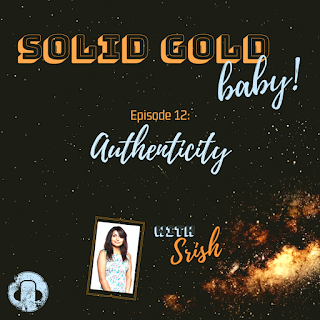 On today's episode, I'm breaking it all down into tiny pieces, so we can figure out exactly what "authenticity" is, what it feels like, and how to leverage it to create a unique, one-of-a-kind brand and business that has people gagging for more! Click the banner below and listen to the full, half-hour-long episode! Not quite sure what to expect? Check out this FREE minisode below first! Like what you hear? CLICK HERE TO SUPPORT THE PODCAST AND LISTEN TO THE FULL VERSION OF THE EPISODE! And finally, I have some super exciting news! 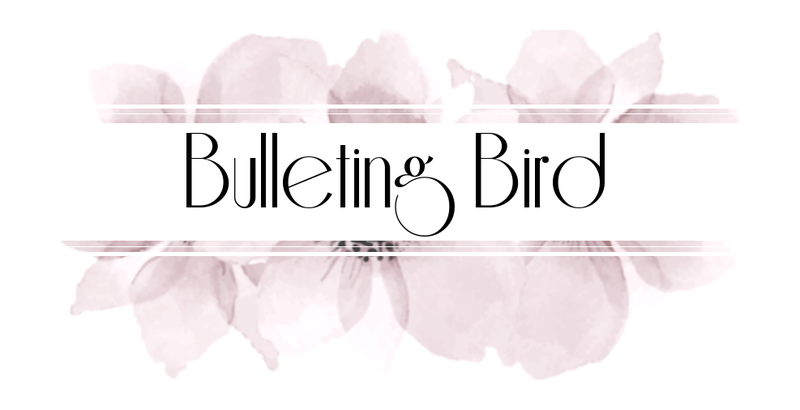 So make sure you're following me on Instagram, and that you're part of the e-mail list (CLICK HERE TO SIGN UP, IT COMES WITH A TON OF FREEBIES! ), so you don't miss out on the big announcement!!! As always, thank you so much for taking some time out to listen to my podcast, and again, please take a second to support it on Patreon, because it allows me to make more awesome content for you! 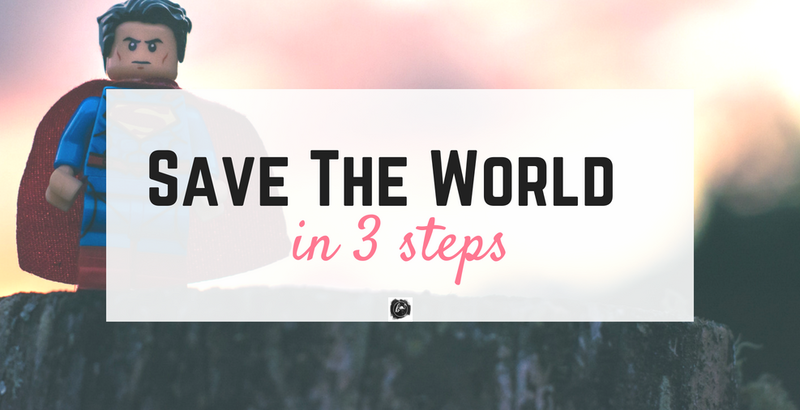 Save The World in THREE STEPS! Yes, I’m back, you can all relax now. I won’t take too much time describing to you my week off, but I’ll tell you what I learnt: First, it is impossible to please everyone all the time. And second, living in the moment is worth way more than meticulous future planning. And I know, these are things every philosopher has said, but you don’t really understand the value of them until you find yourself actively applying these principles in your real life. Speaking of philosophers, today’s post is a little metaphorical, but entirely applicable to every one of you awesome people, regardless of where you are and what you do. Growing up, every single one of us has at some point dreamt of being the hero. 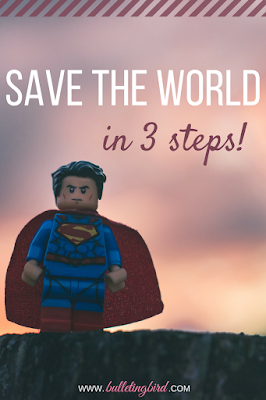 We’ve been ingrained with this strange desire to somehow “save” the world – even if the world wasn’t in trouble at the time! Now of course, as we get older, this desire transforms into more practical ways in which we can save the world – perhaps by first saving the economy, or producing life-changing medicine. But whatever it is you do with your days, that little superhero inside you still exists. 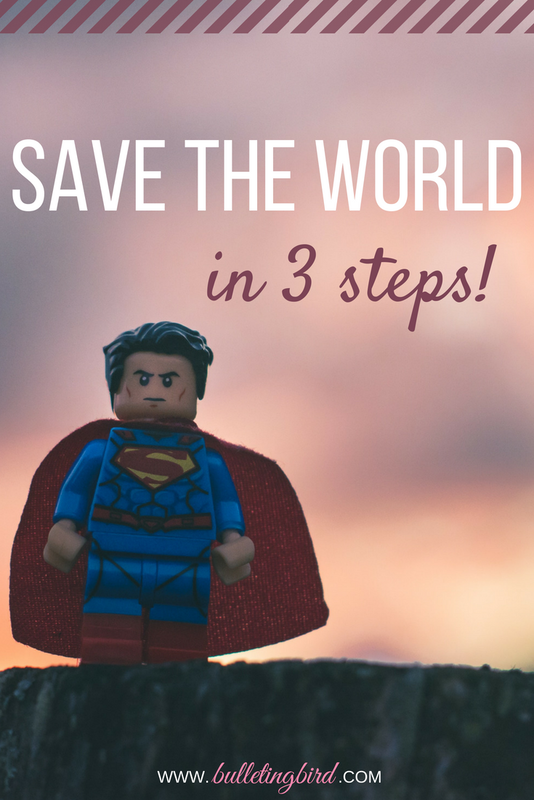 Today, we’re going to give that superhero a voice, and talk about three steps that you can take every day to save the world! Step 1. Fill your own cup. Through my 23 years of life, I’ve learned that there is no truth in this world that surpasses this one. You’d be surprised at just how many people are convinced that the best (the only) way to help others is by sacrificing your own happiness. In fact, I can guarantee that at some point in your own life, you’ve done exactly this, giving up on a wonderful opportunity so that someone “more deserving” can have it. Hell, I’ve even done it. But guess what: this thought pattern is a clear indicator of a scarcity mindset. 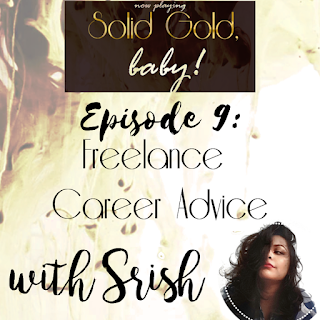 Now we’ve spoken about the scarcity mindset on this blog, on the Solid Gold podcast, and even in the Winstagram course. If, somehow, you’ve missed all three, the scarcity mindset is your worst enemy. It originates from the belief that there isn’t enough of anything in this world – money, oxygen, fuel – to support every living creature on this planet. Sure, we’re burning up fossil fuels and depleting the ozone layer, but I promise you, there are alternatives. The truth is, whether or not you’re able to see it right now, there is more than enough of everything for everyone. And that, my friends, is the abundant mindset. Now if you think from the perspective of abundance, you’ll find that, in fact, you don’t need to make sacrifices in order to provide opportunities for the people around you! Here’s an example: you’ve just received a wonderful offer for a highly competitive job at an amazing firm. The package includes so much more money than you’re currently making, as well as a whole bunch of benefits. You never even imagined such a job truly exists, and it’s yours for the taking! And yet, you see your friend – who is better qualified and more experienced than you – who is struggling to make ends meet. You see how she didn’t get picked for the job, despite giving it her best shot, and you feel the crushing weight of guilt, pushing you to reject the offer, just so she might have another chance at it. That is the scarcity mindset talking. You need to stop listening to it! Instead, think about how, once you’ve taken the job and established yourself at the firm, you could open another, bigger door for her! Perhaps you could put in a recommendation with HR, or you could, in some way, create a position that best suits her needs! You see, giving up on an opportunity out of guilt not only cuts out a massive chunk of abundance for you, it is also incredibly disadvantageous for the people you’re making these sacrifices for. In today’s society, it’s not so much about what you know, as it is about whom you know. So be the kind of person that people want to know, so they can progress with you! Step 2. Empower your community. Okay without meaning to throw shade or offend anyone, I’m gonna say outright that some people are doing charity completely wrong. Don’t misunderstand me, giving back to humanity is honestly an amazing deed, and most donors only have the purest intentions at heart. However, here’s what bothers me about people’s attitudes towards charity – simply volunteering money (or volunteering to raise a lot of money) seems to be the norm in philanthropic endeavors. Yes, some people need financial aid, but a lot of charity helps the needy lead a comfortable life, while staying where they are. I can’t tell you just how many charitable organisations make it so that the less fortunate learn to lead a comfortable life within the confines of poverty. While it is true that something is better than nothing, that should not be our final aim! Instead, consider donating your time and resources to helping people rise out of their current situation. Rather than simply signing off a portion of your income to a non-profit, think about how you can use that money to educate and empower. Perhaps you could fund someone’s college tuition. Or, you could provide a job. You could pay off someone’s medical bills or give them better access to opportunities that help them get healthier. Instead of helping people lead a more comfortable life wherever they are, consider helping them to improve their own situations. Instead of handing someone a fish, teach them to fish! Step 3. Be a grateful opportunist. Alright I’ll admit, this is the hardest step of the three, because it takes some active thinking on a daily basis. If no one else has told you yet, I can guarantee that gratitude is the most powerful force in the world. No really, it is honest, real-life magic. Why? Because the more grateful you are, the more things you’ll have to be grateful. Now I see you skeptics rolling your eyes, so let me explain the mechanism behind this principle. When you look at your situation and find something to be grateful for, it will instantly make you happy. You don’t need to verbally thank someone or some supernatural entity, but simply feel the feeling of gratitude. Try it. You will instantly feel so much better about whatever it is you’re doing! You can be grateful for literally anything – if you’re reading this right now, you have eyes that function brilliantly, a brain that perceives the written word, an electronic device of some sort that lets you read blogs, the time and space to be here and read this….just how many times have you thought of all of these things and really seen the magic in it all? Well, my impatient friend, gratitude not only helps you see the joy in situations that have passed, it will also show you the opportunity for joy in situations that will come to pass! When you look at the world through the lens of gratitude, you don’t see tragedy, but instead, you’ll only see opportunity! Got a toothache? It might be a chance to comfort a nervous child at the dentist’s waiting room. Your dogs won’t stop barking? This is as perfect a time as any to create a learning opportunity for them. Car broke down? Perhaps you can finally learn basic fixer-upper skills from the mechanic! Opportunity is in everything if you only open your eyes to it. And being an opportunist allows you to show the world that not everything is doom and gloom! Now more than ever, our society could use a little humour, a little slice of joy, and a huge chunk of gratitude. So lighten up and enlighten your community – it will be the best thing you ever do for this world! Alright you guys, those are my 3 important steps to save the world. Remember, a journey of a thousand miles starts with a single step. So start small, help a friend, and then simply scale up! You don’t need a billion-dollar fortune, nor do you need to go volunteer in Africa to save humanity. All you need is compassion, and a little bit of gratitude. If you love this post, please show it some love by sharing it using one of the buttons below! The more people we can get on board, the quicker we can save the world. Of course, my inbox is always open to requests and suggestions, and even just plain conversation, so come drop me a line on Instagram, Twitter or via e-mail. Thank you ever so much for reading, and I hope this post helps you to help yourself to help the world!